All STEIN ERIKSEN RES homes currently listed for sale in Park City as of 04/19/2019 are shown below. You can change the search criteria at any time by pressing the 'Change Search' button below. "One of the most incredible ski condos in all of Deer Valley! 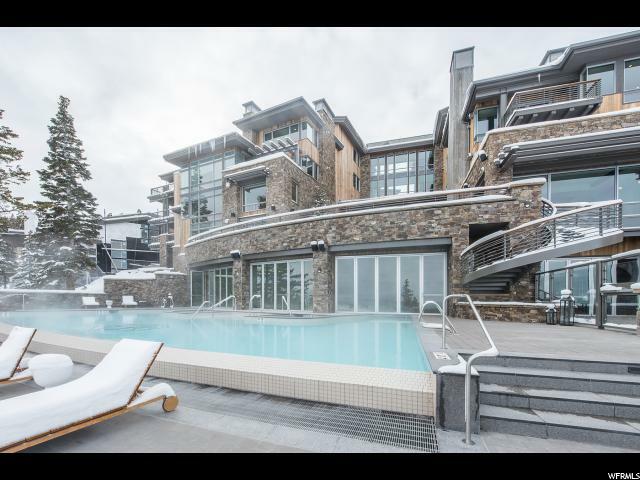 Residence 512 is one of only a select few properties at the newly minted, ultra luxurious, Stein Eriksen Residences that has truly great ski-run views. Enjoy the 5-star exclusive and unparalleled onsite amenities including the fabulous inside/outside resort style infinity pool, kids splash pad, state of the art gym, luxurious spa, ski valet, game room, private restaurant, and more. This residence comes with the superior finishes you would expect, is fully furnished by the celebrated Denton House Design Firm, has wonderful ski access off of Deer Valley's Last Chance Ski Run, and boasts phenomenal ski run views from the Great Room/Dining Room/Kitchen area and the Master Bedroom. Stein Eriksen Residences is the place to be to fully enjoy the ultimate luxurious Deer Valley lifestyle, and there is no better place within Stein Eriksen Residences than Residence 512. Come, and start making memories to last a lifetime. "